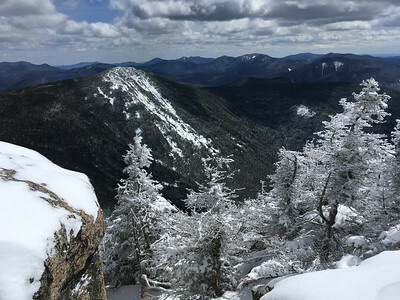 On a sunny day after a spring snowstorm, I hiked up the Liberty Springs Trail from Franconia Notch to the summit of Mount Liberty on Franconia Ridge. 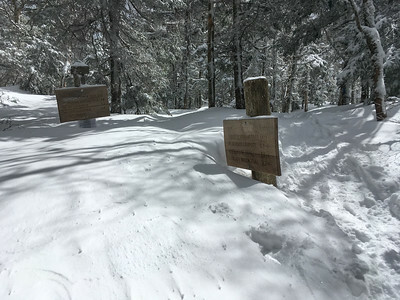 Fresh powder, a light breeze, and warm sunshine made the summit a wonderful place to absorb the views. 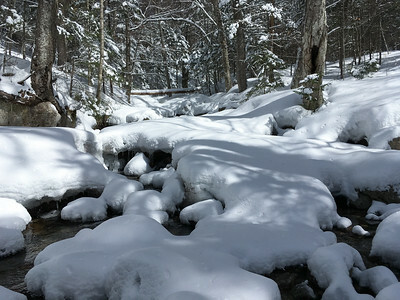 A pretty brook crossing on the Liberty Springs trail. 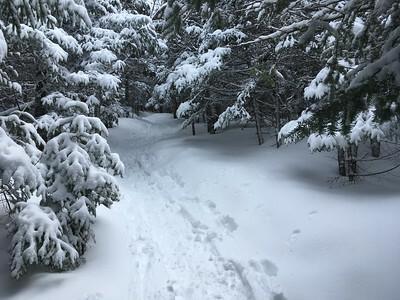 A pretty spring snowfall decorates the Liberty Springs trail. 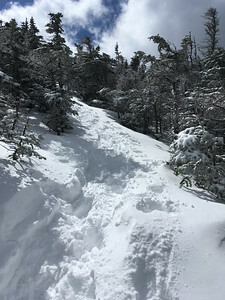 Junction of the Liberty Springs trail and Franconia Ridge trail - all traffic going right to Mount Liberty. 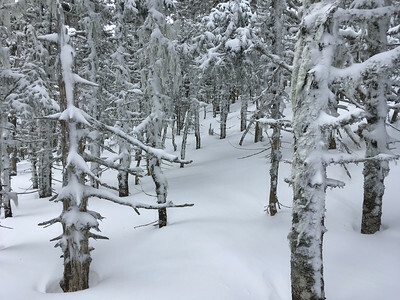 Fresh snow on the trees and lichen near the summit of Mount Liberty. Sunshine as I approach the summit of Mount Liberty. 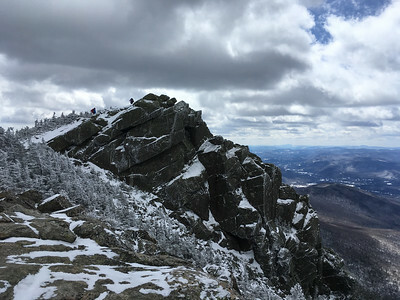 Two hikers reach the rocky summit of Mount Liberty. 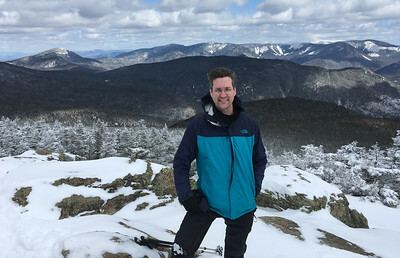 David on the summit of Mount Liberty, with Mount Lafayette at center and Garfield at right. 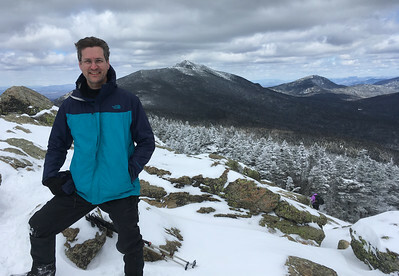 David on the summit of Mount Liberty, with Owl's Head behind, then the Bond range, and then the Presidential Range white in the distance. 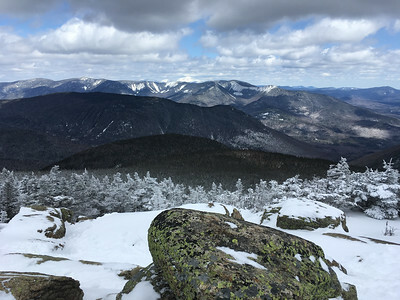 Sunshine captures the summits of Lafayette and Garfield, seen from the summit of Mount Liberty. Mount Washington and the Presidential Range glisten white in the distance, fronted by the Bond range, as seen from Mount Liberty. 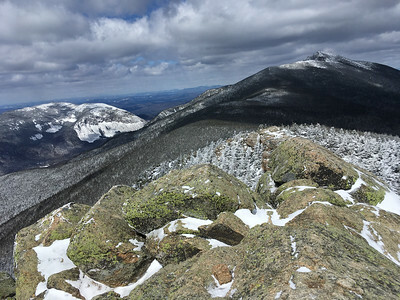 Cannon Mountain (left) and Lafayette (right) from Mount Liberty. 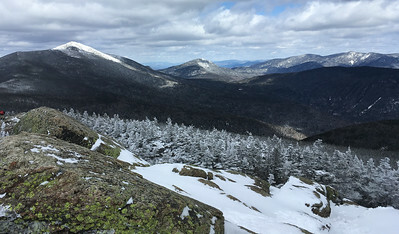 Mount Flume, with its famous slides, seen from the summit of Mount Liberty. 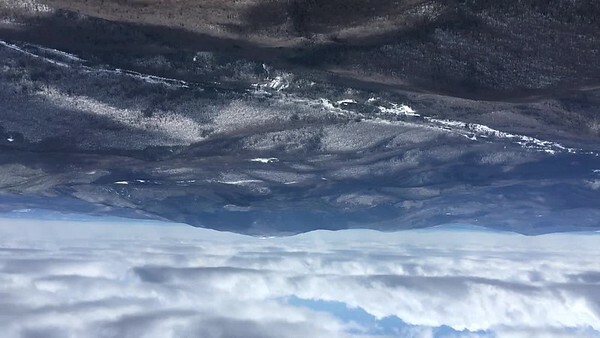 Video panorama from the summit of Mount Liberty, starting at Mount Moosilauke. A light breeze sounds much noiser than it was.